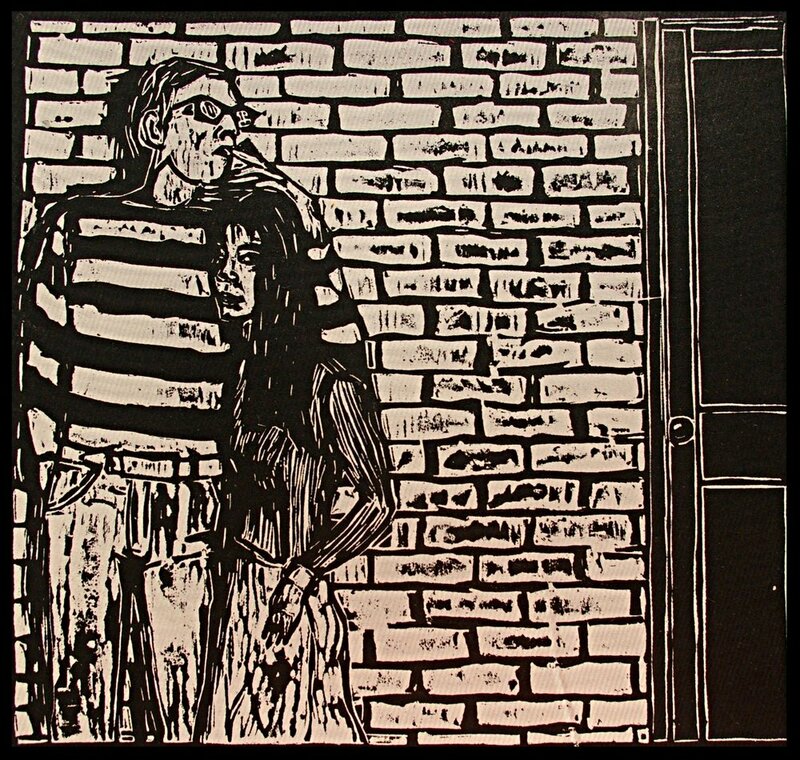 This large format linoleum block print (3' x 5') is from an ongoing series called "Note Cards on Society." This print is on mulberry paper and was pulled by hand. Large format linoleum block print (3' x 5') hand pulled on mulberry paper. Wood Engraving (5" x 7") printed on SP15 Vandercook Press. Wood Engraving (3" x 4") printed on SP15 Vandercook printing press. Wood Engraving (3" x 5") printed on SP15 Vandercook printing press. 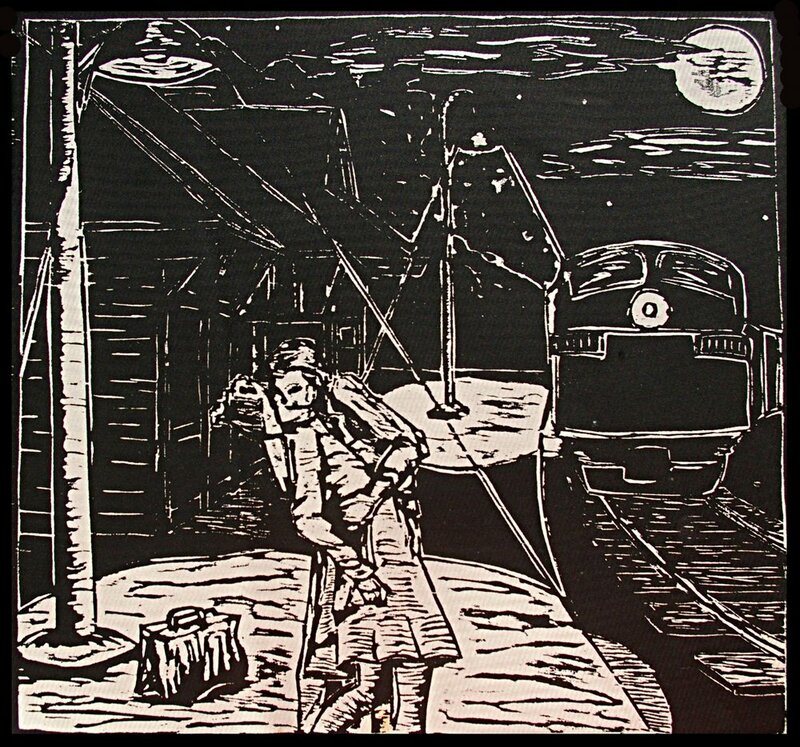 Wood Block Print (10" x 10") from the calendar series. Wood engraving (3" x 5") printed at Hound Dog Press, Louisville, KY.
Linoleum block print (16" x 24") hand printed on mulberry paper. Linoleum block print (20" x 24") hand printed on mulberry paper.